SEPTEMBER 27 – ONLINE (German) Data Vault 2.0 Upgrade Class 2018 NEW! OCTOBER 15 – ONLINE (English) Data Vault 2.0 Upgrade Class 2018 NEW! 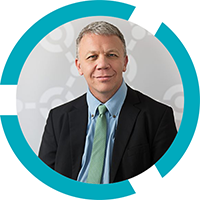 He is a thought leader and pioneer of data warehousing. He invented Data Vault 2.0 and complete Data Vault 2.0 System of Business Intelligence. He has built transactional and analytical systems for federal government and commercial enterprises for more than 25 years. He understands the needs, structures, and priorities of clients. All in all, he provides sound expert advice tailored to the business scenario of clients. This 1-day introductory class introduces Data Vault 2.0 and all its pillars to a general audience. It helps business analysts and managers, involved in an agile data warehouse project based on Data Vault 2.0, to understand the principles and decisions made. This class generally helps to increase management support of Data Vault 2.0 projects by explaining concepts such as managed self-service Business Intelligence, agile delivery of functionality, and agile requirements management. The boot camp class is a 3-day introductory and intermediate class, that takes you through the why what, and how of Data Vault 2.0. 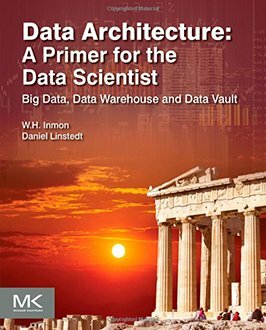 It covers the business justifications and technical descriptions of all pillars of Data Vault 2.0: the architecture, implementation, methodology, and modeling components. The course provides ETL design paradigms, working templates (both conceptual and SQL) and best practices for successful Data Vault 2.0 implementation. The course contains a hands-on case study to get participants familiar with the principles and concepts. This class guide students towards understanding the consequences of the different modeling options when loading data into the enterprise data warehouse, as well as how to derive useful information for the business. 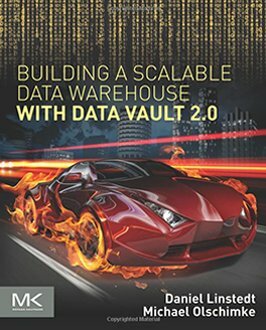 Note that this class (or verifiable skills in Data Vault modeling) is a prerequisite for the private certification to a Certified Data Vault 2.0 Practitioner. We truly believe that long term success is best achieved by empowering your teams to build sophisticated information systems. We make sure you are able to apply successful business strategies to take full advantage of Big Data solutions like Data Vault 2.0. We support our clients on-site and deliver successful solutions of the highest quality.